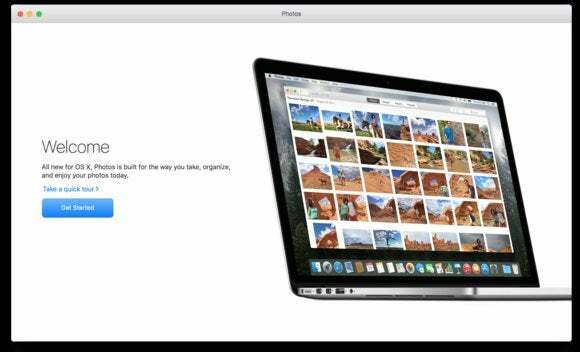 Apple gears its system around Photos syncing to iCloud Photo Library, if you choose that option. What if you want to use Amazon (or Dropbox or Google) instead? I have an Amazon Prime account and for added protection I’d like to put all my photos on its cloud drive for backup. I have a Time Machine backup but would also like to put my photos on Amazon’s cloud drive. How can I cleanly do this? Is there a way to keep the metadata? I’m not concerned about the library or folder the photos are in but would like to keep the dates, location, file names the photos have. The metadata is no problem: because each image file format has its own spec for metadata, these defining photo and video characteristics—like the timestamp for when it was captured, the aperture, and so forth—aren’t operating system dependent. They come along with the image, unless you’re using a service that promises to scrape some metadata out. Social networks remove some metadata to protect privacy, for instance, but it’s assumed with a cloud photo service, you’re managing what you want shared. As for getting them into the cloud? It depends on how you organize your photos, but it’s absolutely possible. Because Apple favors its iCloud infrastructure, there are—so far—no plug-ins for Photos that let you easily drop in Amazon, Dropbox, Google, or Microsoft, all of which are reasonable cloud options for storing, managing, and searching photos. As a result, you have to work quite a bit harder. Each major service offers a different way to upload images. Apple’s is integrated directly into iOS and OS X, making it an easy way to opt in categorically. If you’re using Photos to import images and video, not just reference them elsewhere on local drives, you’ll need to point a synchronization tool to inside your Photos library. Select your library and Control-click to select Show Package Contents. Inside, you’ll want to select Masters. Amazon dropped its cloud sync tool, but third-party GoodSync includes an option for Amazon Cloud Drive. You can select multiple folders and automate synchronization. Google Photos has its own sync agent that lets you select which folders to pick (select Preferences from its menu). I was able to point it to the Photos library, and it appears to have sorted out the correct images to upload without duplication—the only exception being images I modified in Photos, which sometimes appear in original and edited versions. Microsoft doesn’t offer any tools for synchronizing from Mac, although some third-party software could be used for manual sync.